I painted this painting to go in one of Worcester Society of Artists' exhibitions titled "A sense of wonder - the beauty of creation". The beauty of nature gives me a sense of wonder - not just the visual beauty, but the beauty of how everything is interconnected, and how the 'grand design' of nature with all its complexity, when put together, works! A bee is such a small creature, but such an important part of nature, as a pollinator of the plants which make up our food. Without them we would starve! The decline in the bee population recently is worrying. 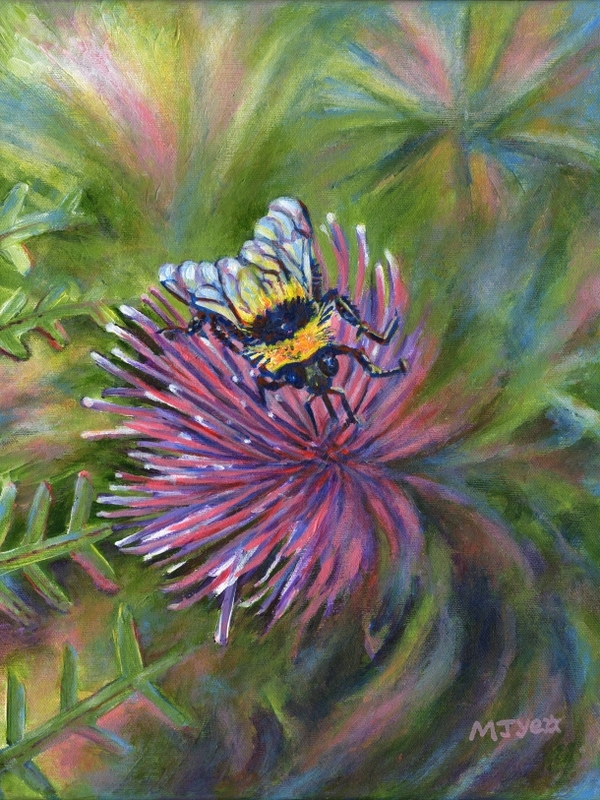 This painting is my celebration of the bee.